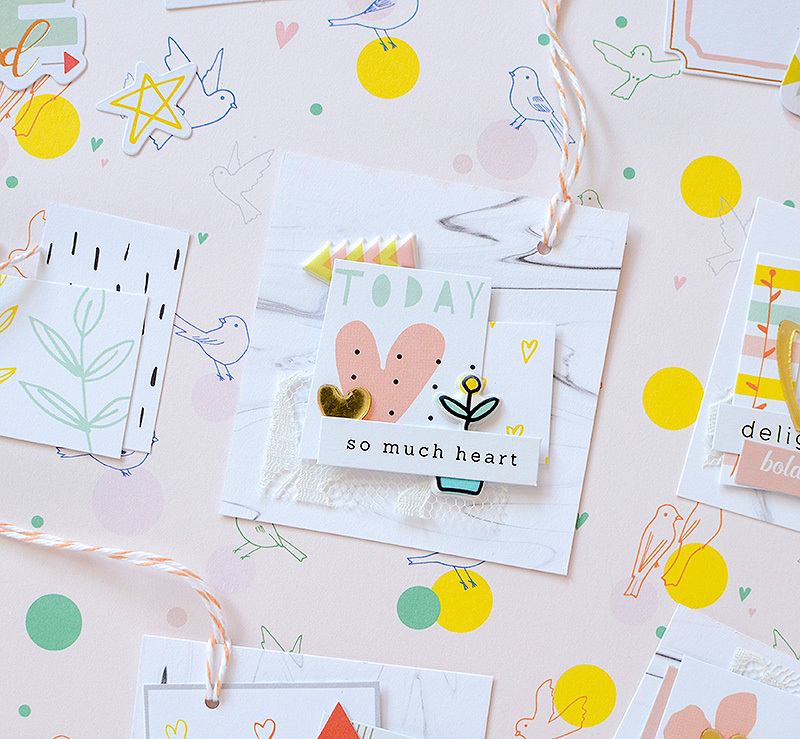 Happiest of April's to you, Pinkfresh friends! 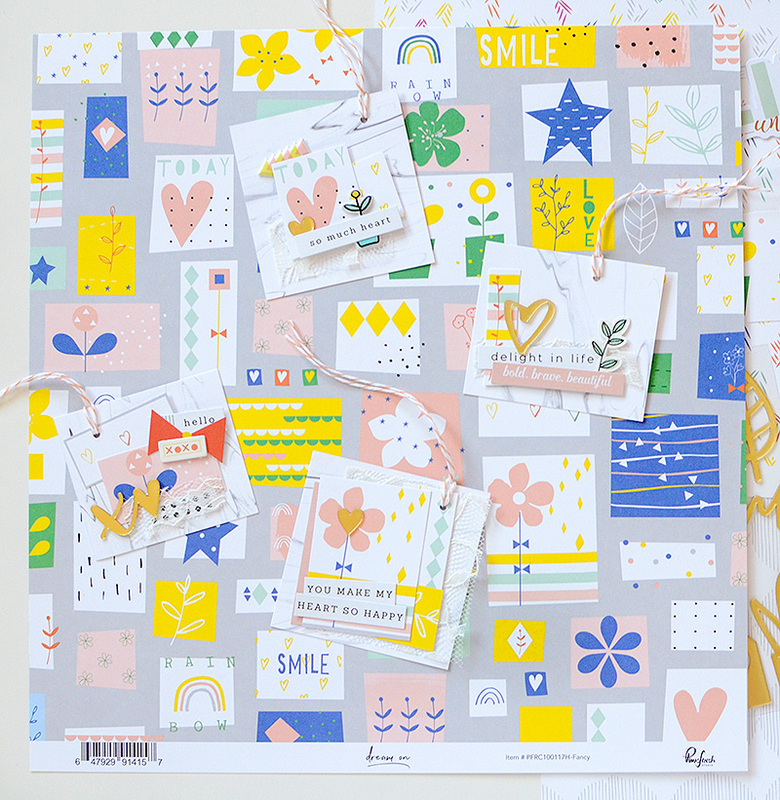 Springtime makes me think of pretty colors and flowers so I took the 'Facncy' paper from Dream On and cut out some of the cute pictures. My idea was to layer them together to make some colorful tags. 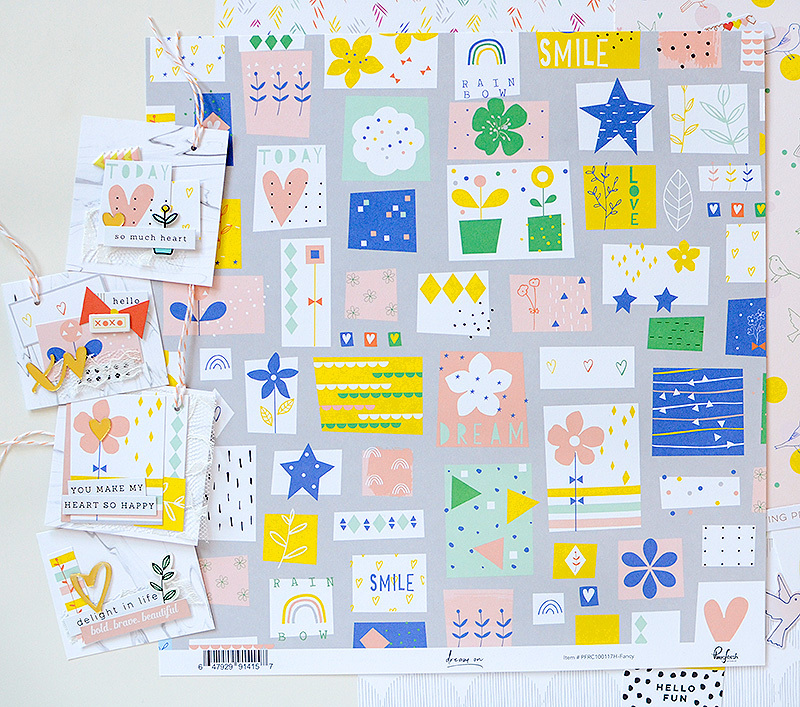 We're mixing all the collections this month, as you've probably seen by now, and it opens up so many new possibilities. 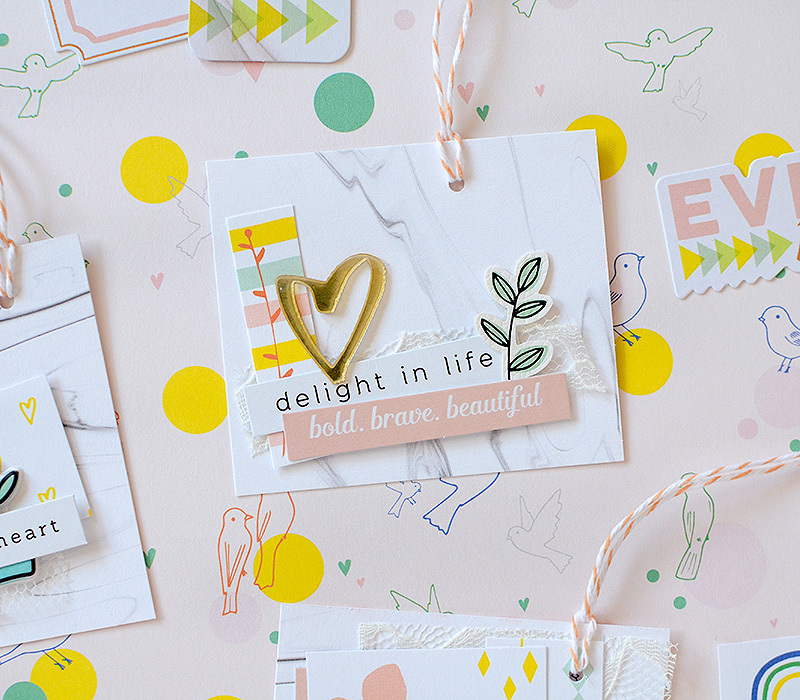 I was able to use Live More's marbled 'Embrace' paper as the neutral backdrop for each tag. 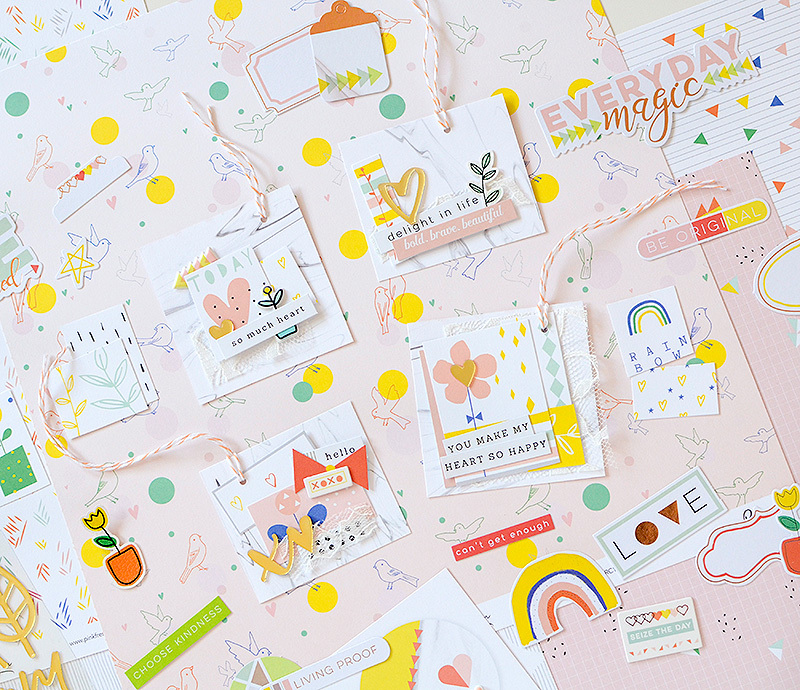 What I loved about the small designs from the 'Fancy' paper was that each one was different and there were so many great graphic elements to them. 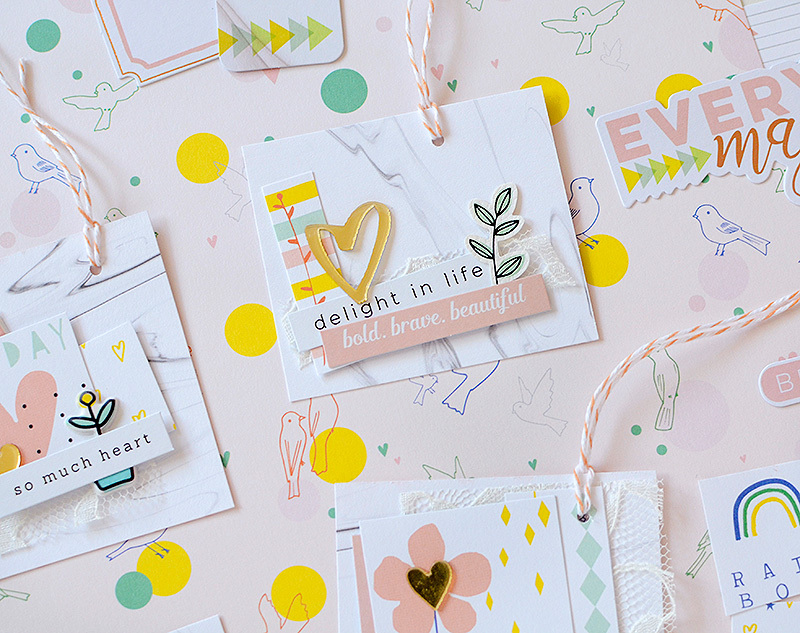 Most of the time, when I make a set of tags, I like to choose a familiar pattern and elements to create each tag in the set, which is also the routine I've followed here. 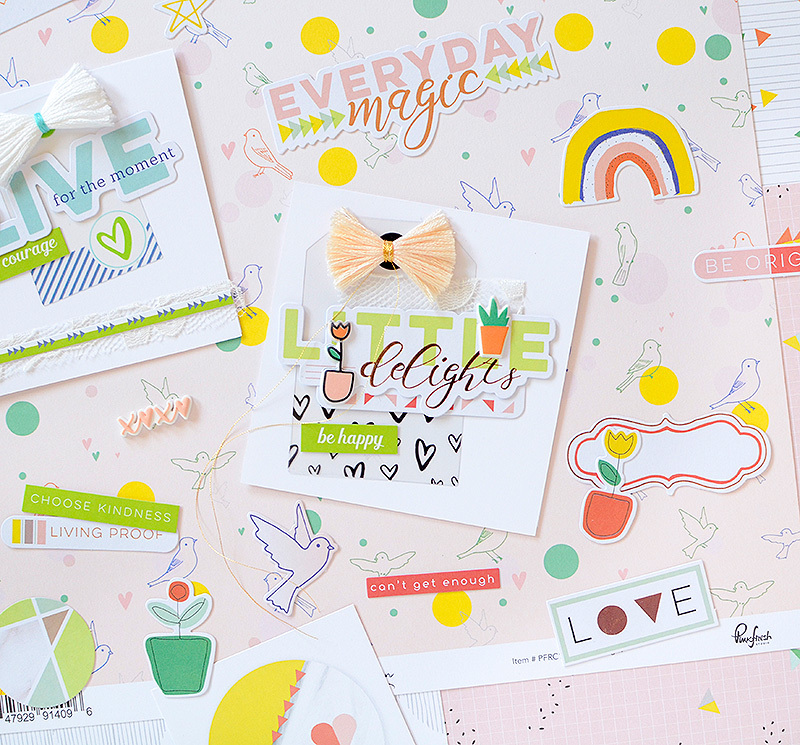 There is the marble backdrop, a couple different samples from the 'Fancy' paper, a bit of lace, a gold piece from the acrylic gold stickers, and the sentiment is made mostly from Live More stickers. I also chose a flower design for each tag, and like colors. Following this format, I played around with placement of each item, layering, clustering, piecing each tag together. 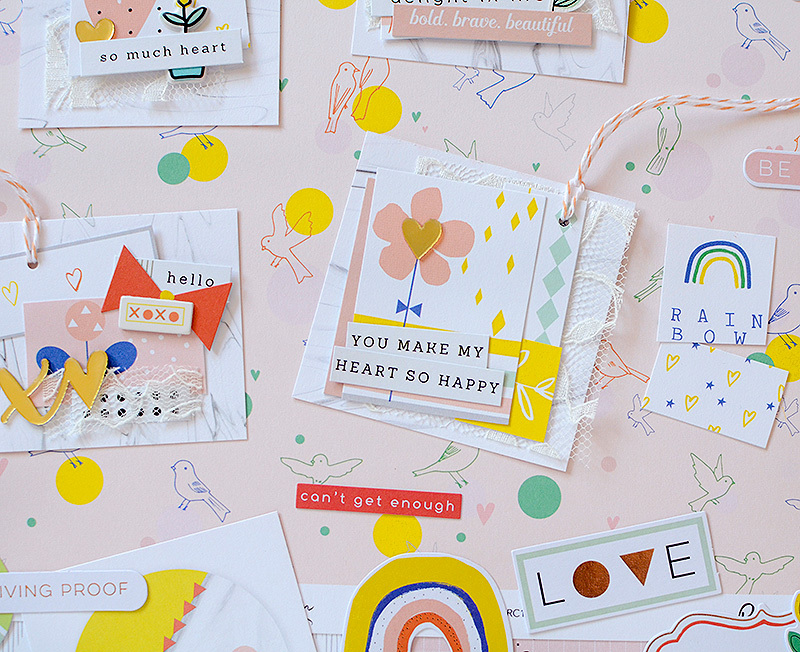 There are a few different textures on each tag, which I always try to have on all of my projects. 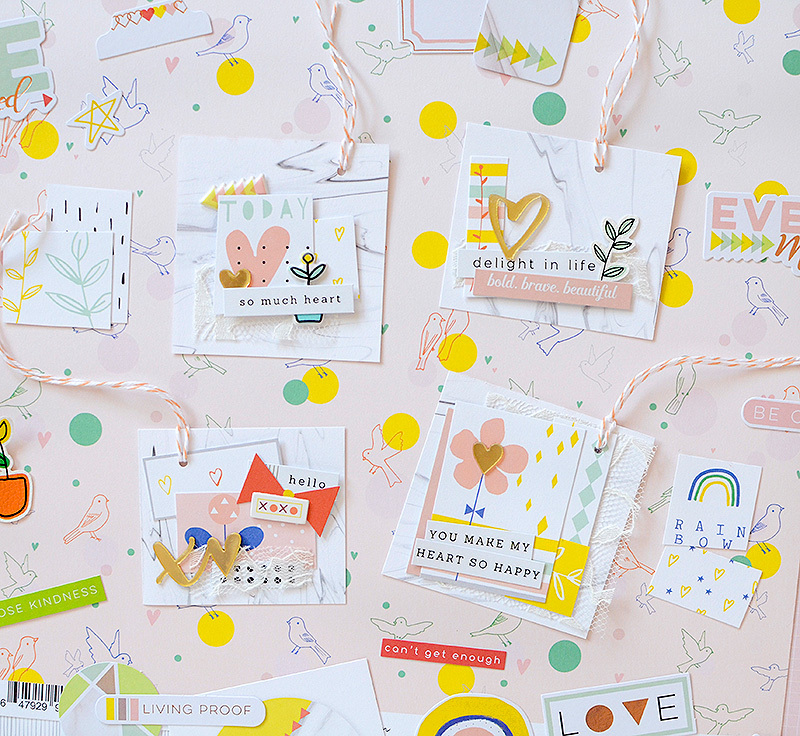 In addition to the lace and twine, I also chose from the variety of stickers in each Pinkfresh collection--acrylic, leatherette, chipboard, puffy, and paper. For small tags, (the largest is only 2" x 2"), there is quite a bit to look at on each one. 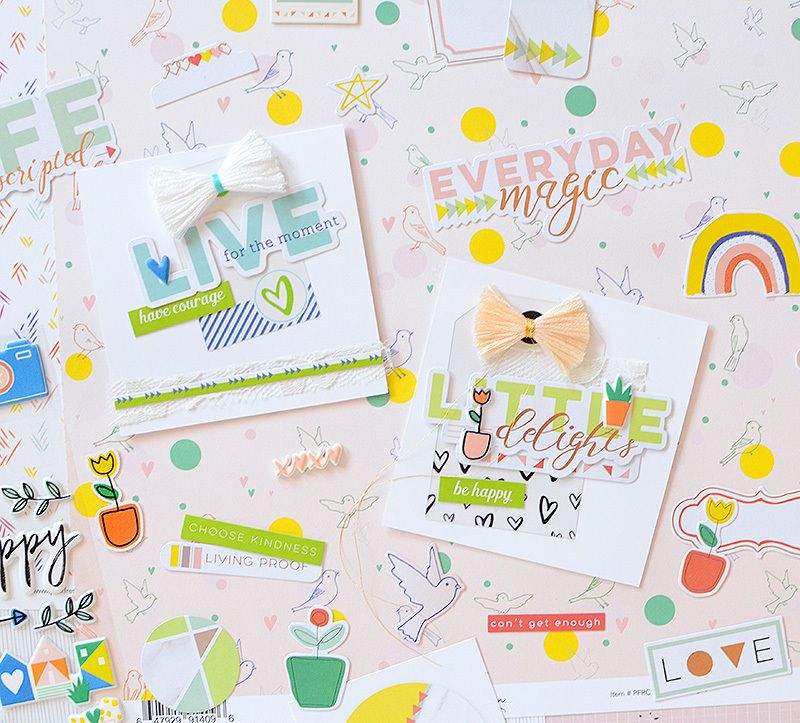 You can make a big impact with a handful of petite elements! For my second project, I made 2 cards, again, trying to follow a similar routine in creating them. 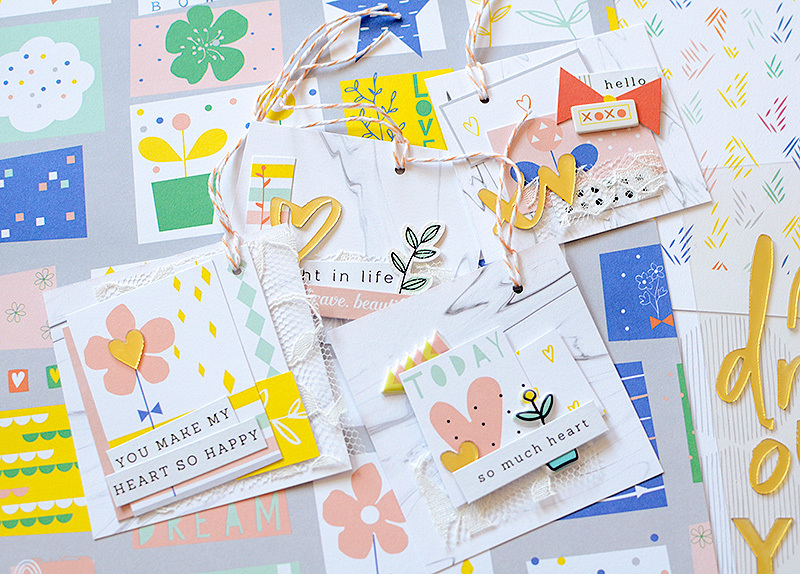 The main details are acetate tags from The Mix No. 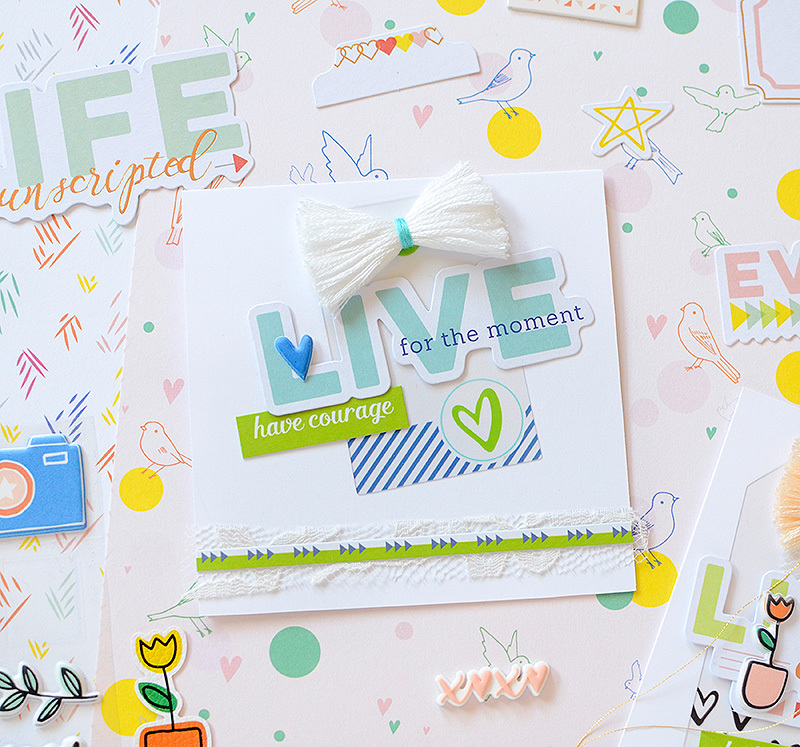 1, and the word sentiments from Live More. To finish, there are smaller details mixed in from all 3 collections. These are also 2 color schemes I haven't really used before--the lime green with the blue hues, and the lime with the oranges. I'm probably more partial to the palette I used in the first project, but I always like to try out new colors so this was fun! 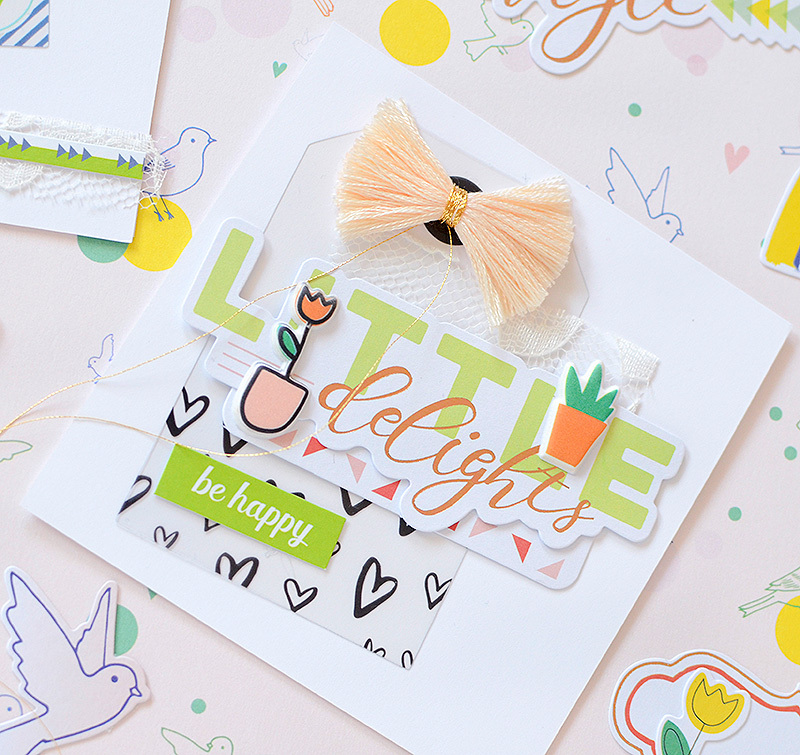 The sweet flower pot puffy stickers were such a cute addition to this 'little delights' card. They compliment both the green and the rose gold foil details. 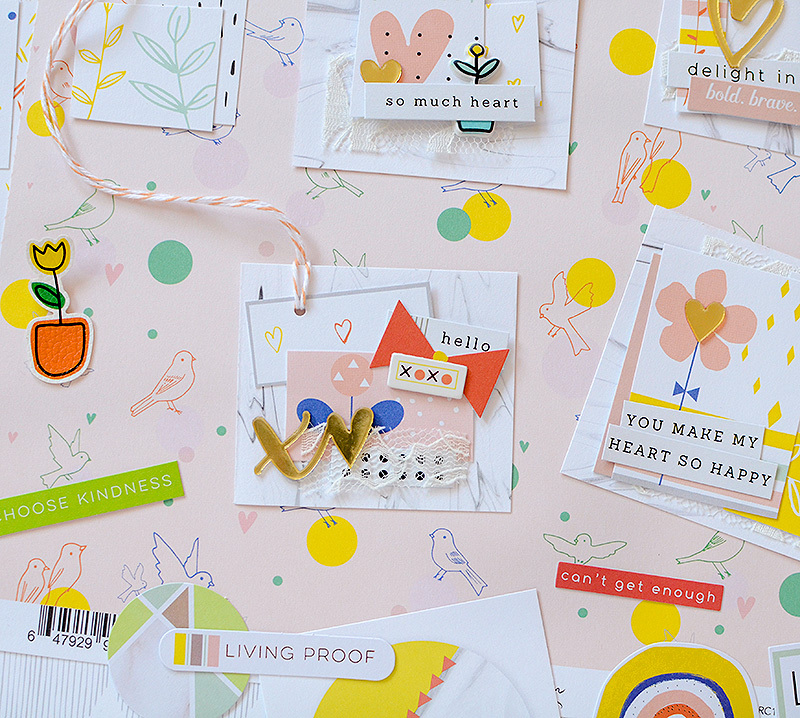 There are different shades of both colors represented on the card, and in all 3 current Pinkfresh collections, which makes it fun to mix and match. I kind of hoarded the heart tag from The Mix No. 1 because I love it so much, but I'm happy with my choice to donate it for use on this card!! 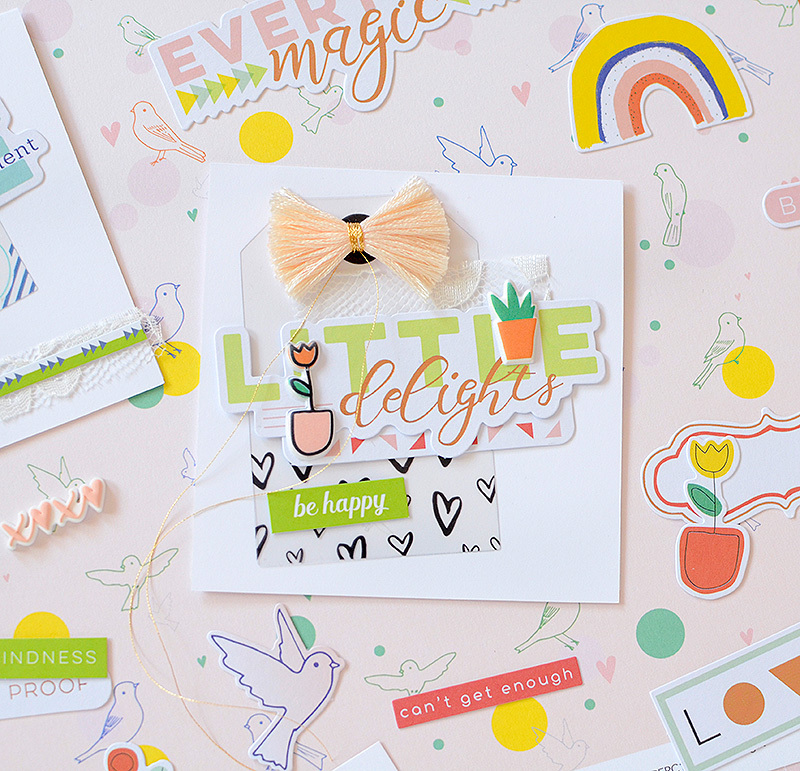 I love it paired with the fringe bow in pale peach, as well as the 'be happy' sticker, which is also from The Mix. Those 3 items really stand out, even with everything that's happening in the center of the card. There's more green from The Mix on the 2nd card, and this time it's matched up with shades of blue. Again, this is slightly unfamiliar territory for me, but I love working with these vibrant colors! This is such a good card to lift someone's spirits. 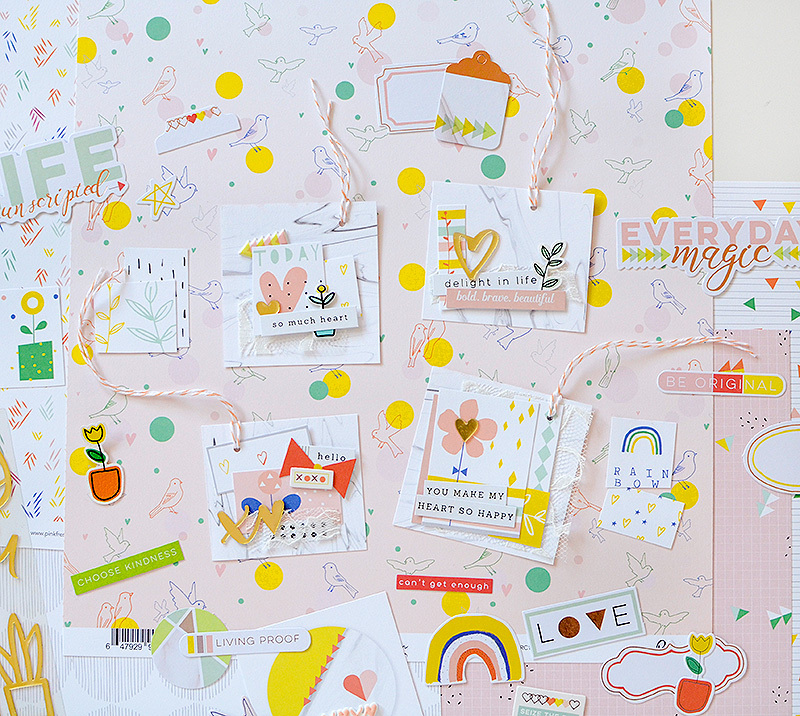 I hope you enjoyed these springtime tags and cards, and that you're inspired to make something colorful, too!